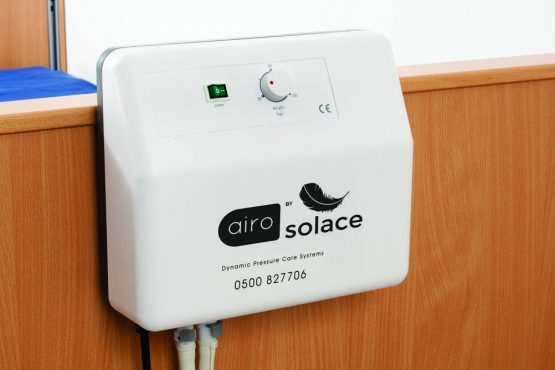 The Solace Airo is suitable for those at low to medium risk of pressure damage and for pressure ulcer treatment up to stage 2. 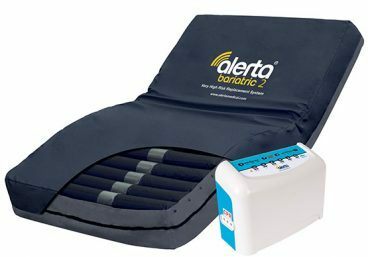 Features sixteen 5 inch air cells with micro-ventilated air cells from head to waist for better air circulation and temperature regulation. 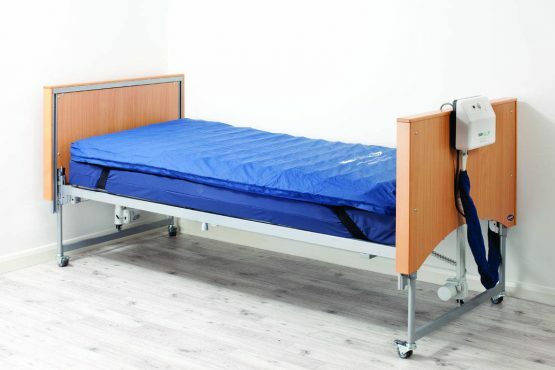 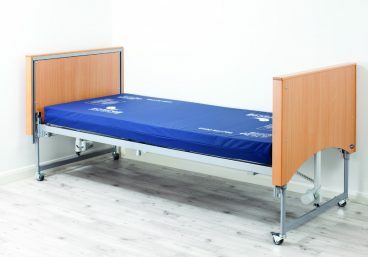 The internal air pressure is adjustable according to the user’s weight via the mattress pump. 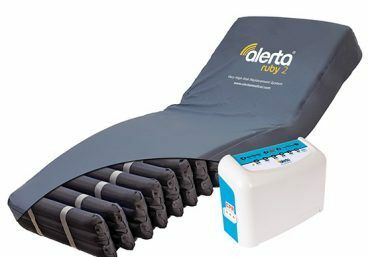 Includes a vapour permeable two-way stretch, waterproof cover. 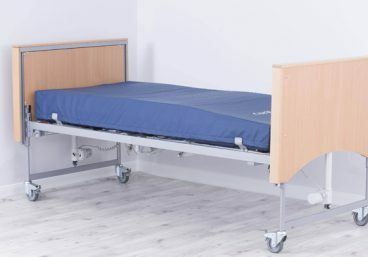 The Solace Airo is an air-alternating overlay mattress that is designed to be positioned on top of a traditional foam mattress and offers pressure relief by means of its individual air cells.